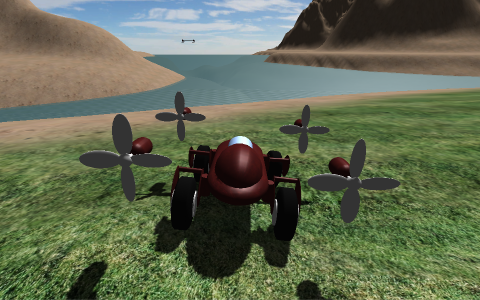 At the graduate course on Games Production and Programming (March/2014 through October/2015) I learned to use Unity engine and other tools, developing some works that look like games for different subjects. The following links make it possible to check the most interesting works, at the stage in which they were submitted for evaluation. 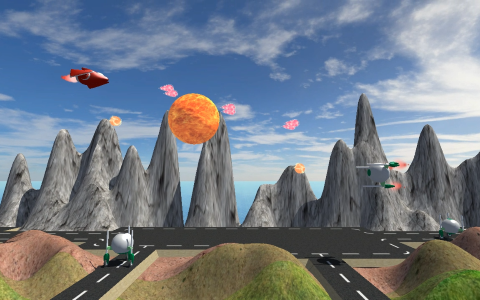 These works were done in Unity 4.x or 5.x and are published as executables for Unity Web Player. You can run them in any browser that supports Unity Web Player plugin (Google Chrome does not support that plugin anymore). These works are not finished nor polished games; they are didactic proofs of concepts and aimed at satisfying the subjects demands. Should you get interested in knowing any of these projects in a deeper way, get in touch. 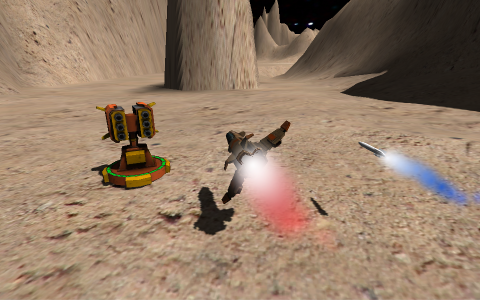 Control a spaceship to explore the terrain and to destroy enemy turrets. Introduction exercise to Unity that uses scripts, free models downloaded from the assets store, particle effects and terrain. Try to maneuver this hybrid vehicle with traction on four wheels and four directable propellers. Exercise on Unity physics engine that uses Rigidboies, Colliders, torque and forces. 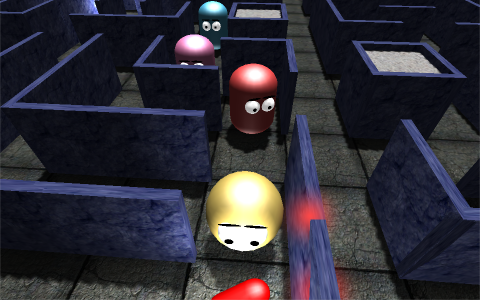 Watch a real-time animation in which a pseudo-pacman tries to get pills in the maze, while evading four pseudo-ghosts that work as a team to catch him. Includes a playable mode. Exercise on Artificial Intelligence for games that focuses on algorithms and programming. Play with friends in network to see who gathers more coins in a randomly generated maze. Comprehensive exercise that uses character modelling and animation, UI, network playability, procedural generation of mesh, shaders, sound effects and a minimum of physics. Control a spaceship, destroying enemies and evading shots and terrain in this Shoot'em Up prototype in which the level is procedurally and differently generated in every play. Practical part of my graduate course concluding work, which approached Procedural Content Generation for games. Watch a teaser video of this project.